“There was a lot of discourse around race and identity… I think that really heightened stress for a lot of people,” the lead author said. 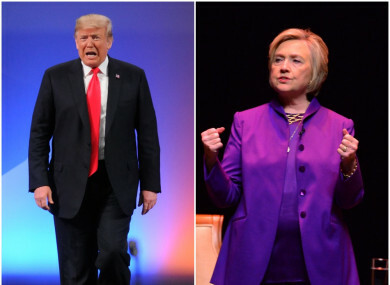 A PSYCHOLOGICAL STUDY has indicated that for some young adults, the 2016 US election had such a severe impact that it caused symptoms often seen in those with post-traumatic stress disorder. “What we were interested in seeing was, did the election for some people constitute a traumatic experience? And we found that it did for 25% of young adults,” said lead author Melissa Hagan, an assistant professor of psychology at San Francisco State University. In the months after the November election, Hagan and her colleagues knew that many of their students had been deeply affected. And a handful of surveys at the time confirmed that the election was a source of stress for people all over the country. But what was missing was a study of how often that stress grew so intense it got in the way of people’s’ lives, interfering with things like work and school. In January and February 2017, the team surveyed 769 students enrolled in psychology courses at Arizona State University. The students represented a variety of racial and ethnic backgrounds, religions, social classes and political identities. Each student filled out a psychological assessment called the Impact of Event Scale, with questions tailored to the 2016 election. “The scale is used to gauge the extent to which individuals have been impacted by an event in such a way that it might lead to diagnosable post-traumatic stress disorder,” explained Hagan. 25% of students surveyed crossed that threshold, showing “clinically significant” levels of stress. The average stress score of students was comparable to the scores of witnesses to a mass shooting seven months after the event. Hagan and her colleagues also found an especially strong impact on certain groups. Black and non-white Hispanic students scored higher on the assessment than their white classmates, for instance. Gender, political affiliation and religion all played even larger roles. Females scored about 45% higher than males on the assessment, and Democrats scored more than two and a half times higher than Republicans. Students who identified as non-Christian were also strongly affected. Each student only took the assessment once, so the results can’t reveal anything about the long-term impacts of the election on psychological health. But the high levels of stress found by the researchers underscores that mental health professionals who work with students should be considering the political environment alongside the typical school stressors. So what made this election so stressful? One factor, the researchers believe, was the surprise – for many, it came as a shock when Donald Trump was elected president. The divisive tone of election-season conversations may have played a role, too. “There was a lot of discourse around race, identity and what makes a valuable American. I think that really heightened stress for a lot of people,” said Hagan. The team published their results in the Journal of American College Health. Email “For 25% of young adults, the 2016 US election was a 'traumatic experience'”. Feedback on “For 25% of young adults, the 2016 US election was a 'traumatic experience'”.